Last year the first grade students and I had the best time doing this project. We asked their teacher to leave the room while we made animal masks and practiced a song to sing (or recite) to her. The kids got so excited about doing something to surprise their teacher. We had a total of six different animals, so more than one student made the same animal. While I was searching for other possible animals to draw for the project I ran across the site, “Masketeers,” that features masks. With the download you get both a colored version of the animal and a black and white version. There are a total of 50 different animals. You can even check on the size and looks of the masks by downloading three free masks. I think the animals (you can resize them to fit your needs) would even make an interesting bulletin board. For directions for this project, “Meet the Animals,” go to the 1st Grade Projects Gallery in the sidebar. 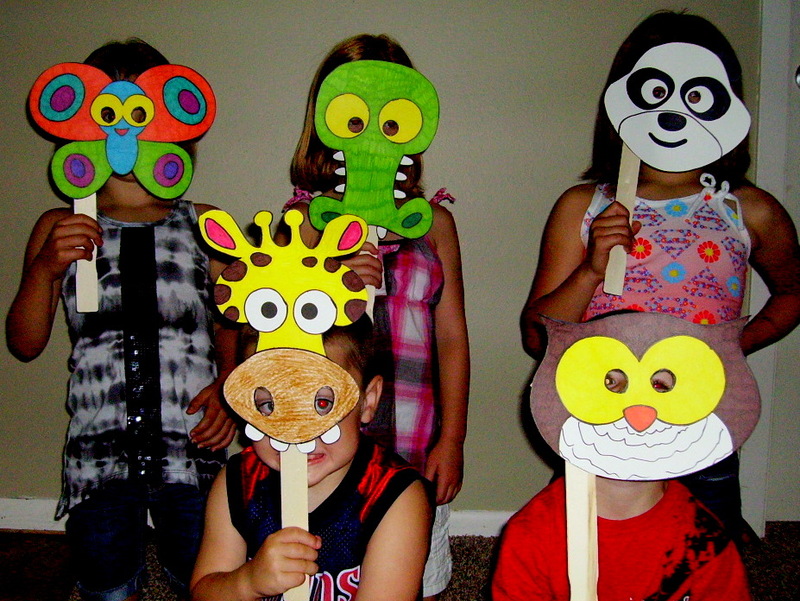 This entry was posted in 1st Grade and tagged 1st grade, animal masks, animal masks for kids to make, classroom mask projects for kids, easy and fun animal mask crafts, free masks, masketeers, masks for children to make, meet the animals. Bookmark the permalink. I love the idea of making the masks as a surprise for the teacher, would have loved to see the surpise on her face when she cam back in the room, a truly fantastic idea.